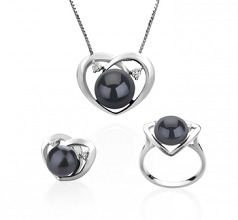 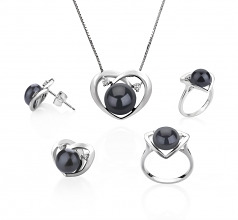 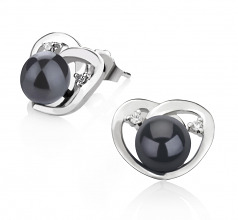 Style, Grace and Elegance – the inter-crossing pattern of the heart shows the love in the large Black Freshwater Pearl and Sterling Silver set. 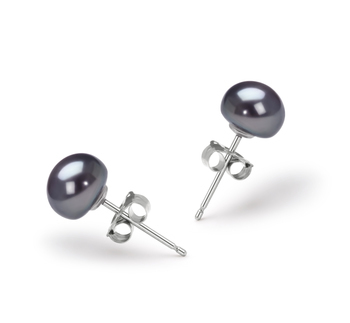 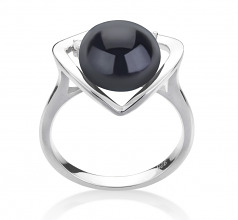 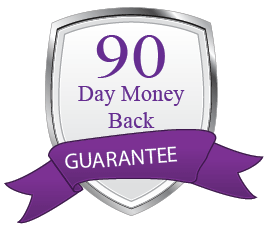 From the Earrings down to the ring, you will be dressed out in the stylish and smooth blend of the dyed 7-10mm button (AAA) shaped Black Pearl surrounded by the .925 sterling silver. 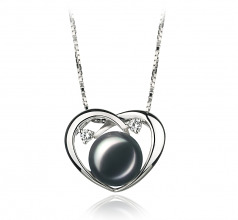 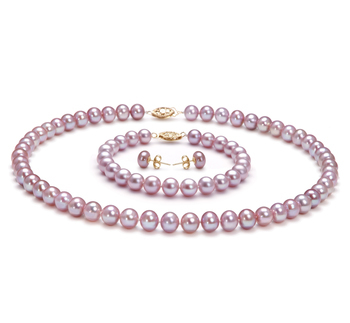 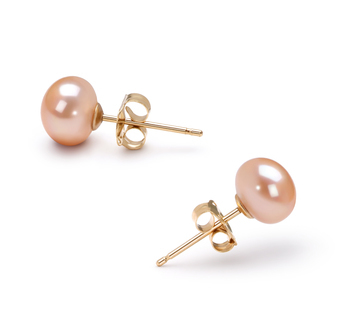 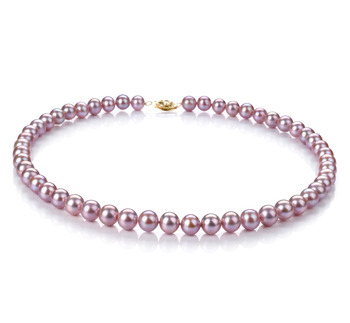 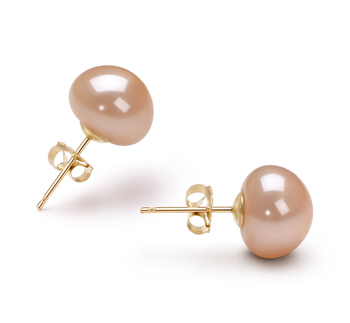 Each setting shows the top of the button styled pearl with a cubic zirconia accent on each side casting its glorious glow from the heart onto the centre of its being.